“I just want to lay it on the line, that the country deserves better, the McCain family deserves better, I don’t care if he’s President of United States, owns all the real estate in New York, or is building the greatest immigration system in the world. Nothing is more important than the integrity of the country and those who fought and risked their lives for all of us,” Isakson said, according to The Bulwark’s Wednesday report. Isakson’s office has not clarified what Isakson’s specific plans are Wednesday. Isakson has previously made clear his reluctance to criticize Trump. 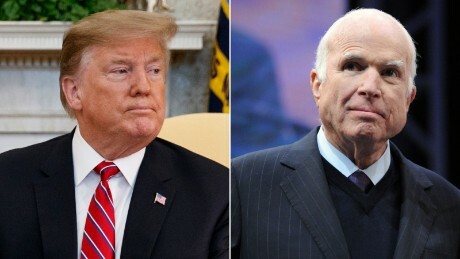 Last weekend, Trump attacked the late senator in several tweets that targeted McCain’s ties to the controversial Russia dossier and his vote against repealing Obamacare. He also referred to McCain as being “last in his class” at the US Naval Academy.